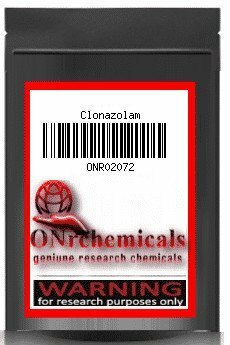 Clonazolam (also known as Clonitrazolam) is a novel depressant substance of the benzodiazepine chemical class which produces anxiolytic, sedative, muscle relaxant, and amnesic effects when administered. Clonazolam (also known as Clonitrazolam) is a novel depressant substance of the benzodiazepine chemical class which produces anxiolytic, sedative, muscle relaxant, and amnesic effects when administered. This compound is a novel research chemical derivative of the FDA-approved drugs clonazepam (Klonopin, Rivitrol) and alprazolam (Xanax). Clonazolam is reported to be roughly 2.5x as potent as alprazolam. Due to the high dependence-forming and addiction potential that this substance shares with other members of the benzodiazepine class, as well as its alcohol-like ability to induce dangerously disinhibited black-out states, it is strongly advised to use proper harm reduction practices if choosing to use this substance. ONrhemicals is a worldwide leader since 2008 in the distribution of Research Chemicals as well as an international research chemicals manufacturing company. 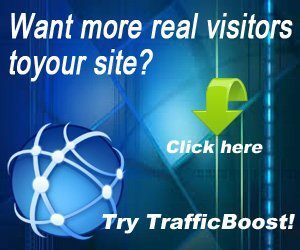 We work along side a highly professional laboratory mainly creating custom synthesis, research, and pharmaceutical chemicals. At this time, we have warehouses in Hong Kong, China, Poland and EU from where all products are dispatched. Our highly developed distribution network guarantees that all products you receive will be on time and will be sent to the most convenient locations for pickup,and delivery to your scheduled destination,we are expeditious and reliable . Customers satisfaction is our ultimate goal, and we are to serve our customers , make a wise decision by making all your order from ONrchemicals you are guaranteed of prompt supply of all your orders to your given address .We also provide various shipping services that deliver products to our clients in various markets and in many different locations around the globe.All products found on this website are sold for the sole purpose of research and education. None of our products is sold for human or animal consumption or for any type of illegal usage.